Due to the China-US trade war and the tighten up of regulatory reviews to Chinese investment last year, Chinese buyers have diversified investments into other regions. European nations, from infrastructure investments in CEE to high tech companies in the Nordics, have received strong interests from Chinese investors. More investors are venturing to other markets in Asia and emerging economies, where they see opportunities to scale up and synergies with the Chinese government’s initiatives. Seasoned professionals uncover the real picture on outbound investment and predict the outlook. Where are deals being seen? China-US vs China-Europe vs China-Asia? What deals are still going through? How are these deals structured? What are the new sectors and destinations that Chinese investors favour? Why is private equity a natural partner for corporates in making outbound acquisitions? Eddie Chen, Managing Director and Head of China & Asia, EURAZEO S.E. Private equity investors are under pressure to generate returns – or at least show paths to liquidity. Despite stock market volatility, the CSRC has promised to accelerate IPO approval and the establishment of the “technology innovation board” by the Shanghai stock exchange. Trade sales are becoming more viable as valuations fall, with ample opportunities for restructuring. Our panellists consider each option and predict the exit outlook for 2019. Which exit routes proved most fruitful in 2018? How do the region’s capital markets compare? Will new CSRC initiatives reopen local IPO markets for exits? 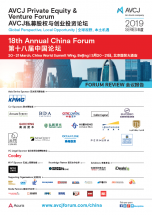 How is the secondaries market developing in China? Despite incentives on domestic IPO, is it an exit route of choice? How does China compare with other markets in a global PE portfolio? What strategies are of interest to LPs? What are LPs expecting from GPs in the current low-growth climate, and what are the major challenges in GP selection? How are foreign LPs viewing about co-investments in China?